The “best” films aren’t based solely on whether the actors have won an Oscar for their roles. There are many factors to consider when rating movies – from the quality of the acting and filming to the plot, style, themes, and action. Here at NEEDaFIXER, we’re film and movie experts. From independent documentaries to box office smashers, we love them all. And based on everything we know about the filming industry, we’ve created our own “best films” list. 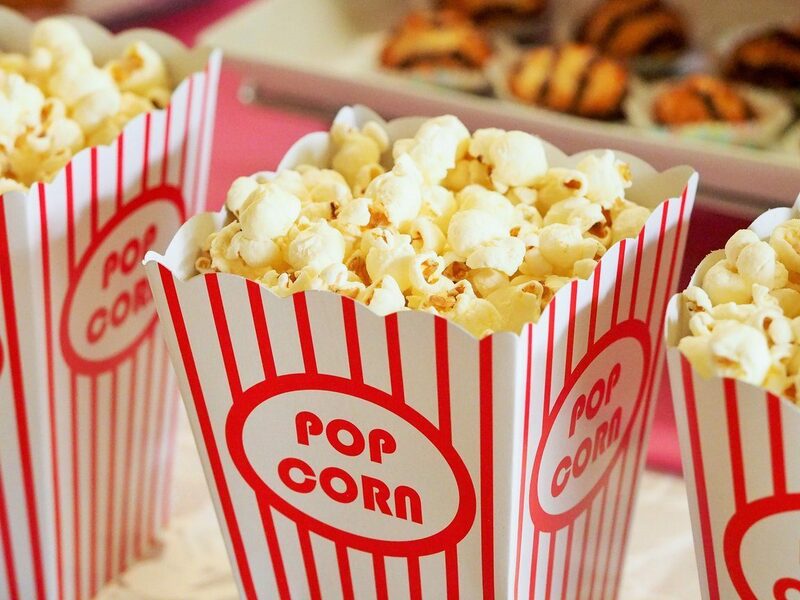 Without further ado, sit back, relax, grab the popcorn, and see NEEDaFIXER’s top 10 films of all time. Although the violence in this film may not be for everybody, Tarantino’s Pulp Fiction kicked up an absolute storm in the box office and has since become a cult classic. The film consists of seven intertwining narratives to create an intriguing movie mash-up. It stars Bruce Willis, John Travolta, Samuel L. Jackson, and Uma Thurman. The plot takes place out of chronological order, which makes it a standout film of the industry. It may well be a hit of the past. After all, Gone with the Wind was released almost 80 years ago. But it still earns a spot on our top 10 list. A legendary romance set during the American Civil War, the movie centres around a strong-willed (also described as manipulative) lady, Scarlett’ O Hara. She struggles between her marriage to Rhett Butler and the marriage of her true love, Ashley Wilkes. The powerful film affected how African-Americans are depicted in cinematography. It sparked some controversy, however, and was accused of glorifying slavery. The director, Victor Fleming, made sure that he had the right people for the right roles. He took almost two years to start filming so that he could get the cast he wanted. The cast includes Vivien Leigh as Scarlett O’Hara, Leslie Howard as Ashley Wilkes and Clark Gable as Rhett Butler. No one wants to mess with the Godfather, and perhaps that’s why this film was such a massive hit. Centred around New York’s crime scene and the Mafia, The Godfather is essentially about the head of an organised crime family, Vito Corleone (Marlon Brando), passing his kingdom down to his son, Michael Corleone (Al Pacino), who is fairly reluctant about taking it over. The character-driven epic is a romance, tragedy and a thriller rolled into one. The pace of the film is spot on, conveying the rise and fall of the Corleone family. Starring Morgan Freeman and Tim Robbins, The Shawshank Redemption is an American film in which two prisoners bond over many years. Eventually, they find redemption through acts of common decency. Although the film didn’t gain a huge profit at the box office, it is widely regarded as one of the best movies ever made thanks to its compelling narrative and acting. The Wizard of Oz sent us into a magical world of talking scarecrows, yellow brick roads, adventure, wonder and inspiration. After all, in what other movies would the phrase, “We’re off to see the Wizard” make sense? The film has become one of the most influential films of all time since its release. According to the Library of Congress, it is the most watched film in history. Among the longest-running movies of all time, Forrest Gump is a touching tale that features Tom Hanks as Forrest Gump. The movie follows his life story as he, often unwittingly, leaves a lasting impression on American history. Gump alludes to the American presidents Kennedy and Johnson as well as the Vietnam War and other historic events. At the end of the movie, he reunited with his one true love, Jenny, who is the mother of his child, Forest Gump Jr. Released a year before Forrest Gump, Schindler’s List is based on the life of Oskar Schindler, a German businessman, who saved the lives of over a thousand Jewish refugees during the Holocaust. Director Steven Spielberg had ideas about the film centred as early as 1963. And the film certainly didn’t disappoint when it was brought to life 30 years later. To this day, it is one of the most critically acclaimed films of the 90s. Based on the 1962 novel, One Flew Over the Cuckoo’s Nest is a comedy-drama film that follows criminal Randle McMurphy, who is transferred for evaluation from a prison farm to a mental institution. Although McMurphy is not mentally ill, he seeks to avoid hard labour. In the mental institution, he rallies the patients against the oppressive Nurse Ratched. It was the first film since It Happened One Night (1934) to win all five of the top Academy Awards: best picture, actor (Nicholson), actress (Louise Fletcher), director (Milos Forman) and screenplay (Lawrence Hauben and Bo Goldman). The Sound of Music is an uplifting film that is also beautiful to listen to. The movie’s beloved soundtrack is based on The Story of the Trapp Family Singers by Maria von Trapp. The film centres around the Von Trapp family, when a young Austrian woman studying to become a nun in Salzburg is sent to be a governess to a retired naval officer’s seven children and widower wife. The Sound of Music was so successful, it held the spot for highest-grossing film in history for five years and went on to win five Oscars, including Best Picture and Best Director. Today, adjusted for ticket price inflation, it is the third highest grossing film of all time. A beloved musical that never fails to capture an audience, My Fair Lady centres around a phonetics professor who tries make a flower girl presentable in higher society. Eliza Doolittle wants nothing more than to work in a flower shop and asks the professor, Henry Higgins (Rex Harrison), to help her pursue her dreams. My Fair Lady was adapted from the Lerner and Loewe eponymous stage musical based on the 1913 stage play Pygmalion by George Bernard Shaw. Lerner and Loewe’s score for the musical includes some of the best-known songs and lyrics ever. Want help producing your movie? We make it happen! Our team organizes all types of productions, and we shoot in film locations around the world.